This entry was posted in My Musings and tagged art, boomer women, fearless women, inspiration, Pacific Crest Trail, unexpected gifts, women's wisdom, Writer, writer's block, Writers Resources, writing by justabackpackandarollie. Bookmark the permalink. Oh I LOVE Cheryl Strayed! Wow! I had no idea she was here locally… sorry I missed her! So… just my dos centavos here – you do still have something to say. All of us who write (bloggers write!) run into dry spells, for whatever reason. Once I took the pressure off myself to have a particular number of blog posts published within a certain amount of time (as of right now, it’s been weeks since I’ve posted anything) and totally accepted that I was writing for myself and no one else, I found I no longer “worried” that I didn’t have anything to say or cared that someone might think I wasn’t writing enough or saying something witty and/or wise. You have plenty, Nancy. Lighten up on yourself, write only for you, and the writing will come. Or it won’t. Either way will be perfect for you. I do love your writing – you have an insight and a way of expressing it that is just delightful. And on that note, I’m going to re-write that sentence: I do love you – you have an insight and a way of expressing it that is just delightful. Be yourself! You’re awesome! Exactly, Lois. I keep trying to hold the idea of writing for myself but then think that some number of friends, family and complete strangers are reading it so it’s not just for me. You’ve been at this a lot longer than me, so I’m going to try and hold your words of wisdom and advice here and in the future when I once again have nothing left to say. I do find that starting is usually the hardest part of writing a blog post. If I just quit thinking to darn much! Ha ha. I thoroughly enjoy your posts – whenever they appear. And your unique take on the world. I love that we have become friends! Well heck, you’re a writer if you write. Also sometimes if you don’t, I think. I grew up thinking I’d be an author. Then I didn’t write anything from, uh, 1970 until 2008. But I think I’m a writer, so there! Well, Murr, you are definitely a writer with a capital W. I think when you kind of stumble into something, it takes a while to feel legit – and I am one who tends to let perfectionism drive me nuts. I hope I sort of answered myself in the same way you did – I am writing, so in some way, I am a writer. And really, who the hell cares? Thanks for your writing. I believe we can become better writers by reading really good writing of all kinds. Can’t wait for your book! You are not alone. Everyone goes through the ups and downs of writing. We are all writers of some sort. As an example, I am on vacation and was positive I would be elaborating about the wonders of the area and the traditions & culture of my surroundings. Instead I am engaging in lots of R & R. Oh well, it was a great idea at the time and I am sure the writing bug will cross my mind again. Keep it up, I love the information you share. Hola Yvette! So good to hear from you. I’m sure you guys are enjoying the sun and relaxation time. Enjoy. Let’s catch up when you get back and settled in. I’m sure you will have some good stories to share. Nance….for god sakes, you’re a flippin’ writer already! And why have I missed all these flippin’ posts? I’m way behind for cryin out loud. Sheesh. Yah, I know, if you write something, you are a writer. But, it is a very interesting experience and pretty much every day I think I have nothing left to say…some days I really don’t and then, like yesterday, Violet and her story popped into my head. I’m not sure how you get your creative ideas for painting, drawing, cards, etc. but when I start something I never know how it will end, somehow it just wraps itself up and I have nothing more to add after about 500 words. Strange but interesting. That is the magic. Some days one draws or paints and it all works and some days it’s a struggle. It’s magic I think….at least to me. 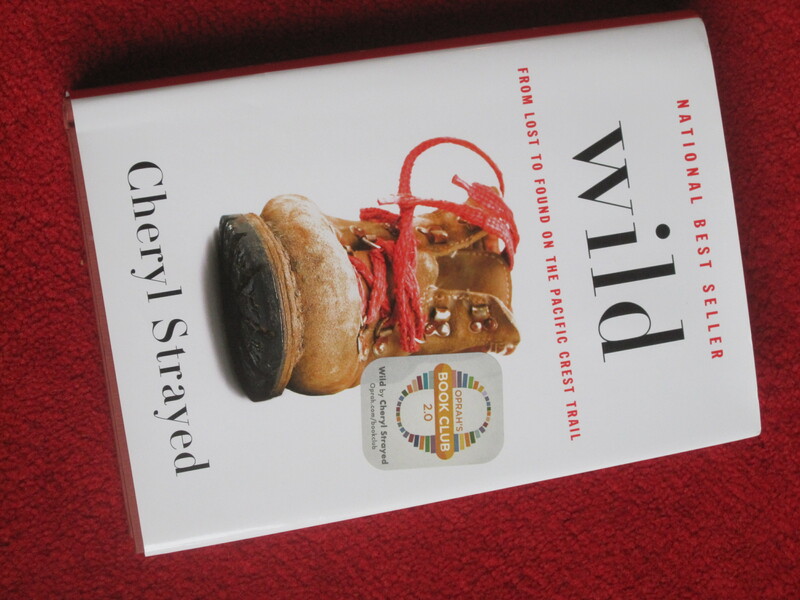 And by the way the thing Cheryl Strayed said that sticks with me is….”sometimes success looks like failure”. I remember that when I have a bad day at the easel and can’t seem to feel the models’ stress points and weight on her limbs….it’s important to just keep doing it because its cumulative. ~V. Hey there. Would you do me a giant favor and share my Violet post on FB today? I have a feeling that for some reason a lot of people haven’t been seeing my updates when I post a new blog piece. I’d be curious to see what happens when someone else say’s “hey you might enjoy reading this”. Thanks if you can!